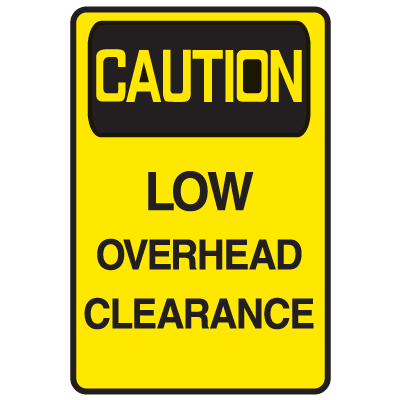 Low Clearance Signs inform motorists as well as personnel when they are approaching overhead obstacles in the facility or the roadway. 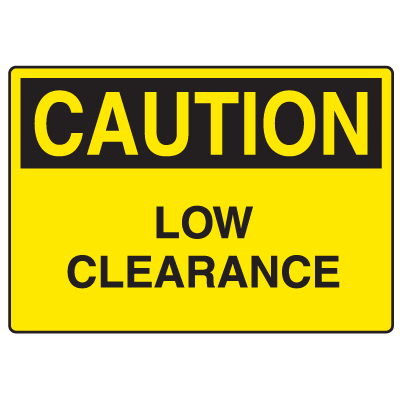 Warn drivers of trucks and similar automobiles that they are nearing an object or area that may cause potential damage with Seton’s Low Clearance Signs. 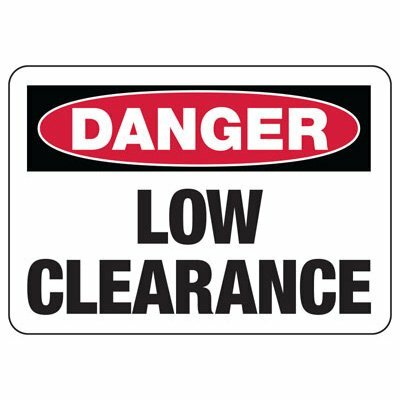 These signs are commonly used in warehouses, garages, bridges, and similar areas that may present hazards to large vehicles. 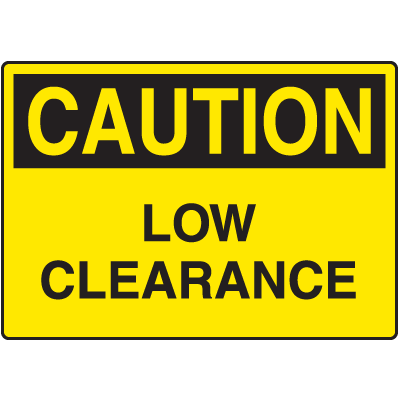 Install warning signs either just before the barrier or on the barrier and notify drivers if their vehicles exceed the maximum height allowance. 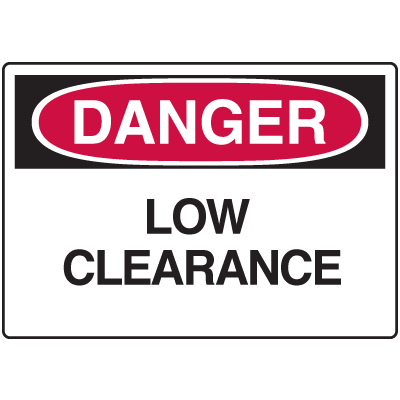 Choose from Seton’s line of sign options and prevent any accidents from occurring. Warn motorists of any obstructions that could damage their vehicles. Safety should always be your primary concern, and it is crucial that the necessary safety procedures are in place and properly implemented. Because of this, safety signs an important feature of any work and traffic area. 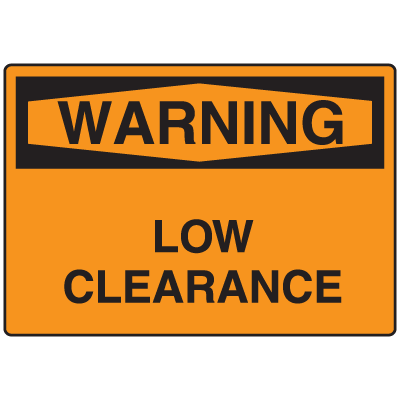 Low Clearance Signs notify motorists when they need to make adjustments in their maneuvers or completely avoid areas that are too low for them to drive through. Make sure that your facility always meets federal safety requirements. Employers are required by law to post safety signs to inform and protect employees against any workplace hazards. It is also important for management to ensure that warnings are posted in locations that allow them to be easily seen and recognized. Employees who are ignorant of the potential dangers put themselves as well as their co-workers at risk of injury and even death. Comply with regulations and protect the jobs as well as the lives of your employees. Make sure to provide your establishment with the necessary safety signs. 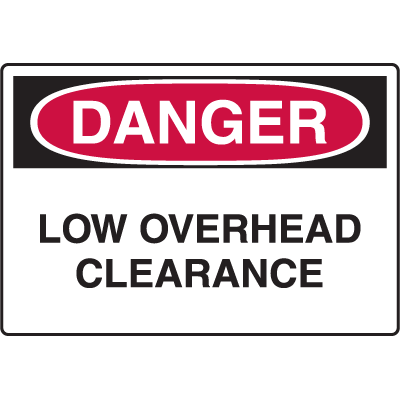 Choose the best Low Overhead Clearance Signs from Seton to meet your facility's needs.